Camera to the extreme. 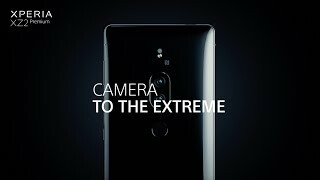 The Xperia XZ2 Premium is more than just an incredible smartphone – it’s your new camera. The ultimate creation machine, it takes pro-quality movies and pictures with a ground-breaking dual camera, while a 4K HDR display brings entertainment to life. Our revolutionary Motion Eye™ Dual camera can capture more than the naked eye can see. Built with technology from our exclusive a range cameras. Taking photos in extreme low-light conditions is made possible with an incredible ISO 51200 sensitivity. Whether it’s a dramatic crash or a booming explosion – you’ll feel like you’re truly there. The combination of a 4K HDR display based on Sony’s BRAVIA® TV technology, a pioneering Dynamic Vibration System and powerful stereo speakers creates a full sensory experience. Enjoy superior sound with the Xperia XZ2 Premium. High-Resolution Audio3 gives you the best possible quality and LDAC means everything sounds great even if you’re listening wirelessly. Plus, the powerful stereo speakers let you share your music and movies with friends. 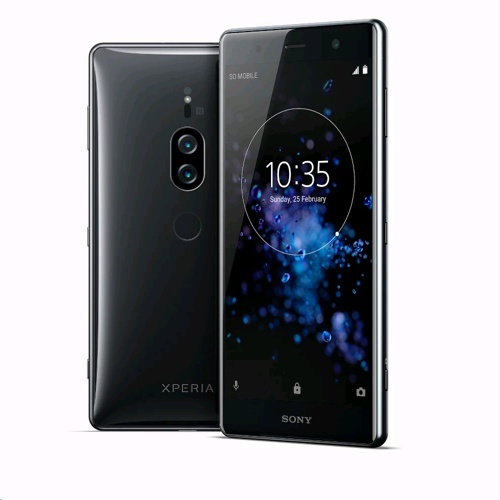 The Xperia XZ2 Premium looks good, feels great in your hand and is packed with cutting-edge technology. Its smooth surface is comfortable to hold and the reflection of light makes the screen and glass finish flow together in one beautiful, seamless design. Get the speed and performance you need to enjoy all-day entertainment and fast multi-tasking. The Xperia XZ2 Premium handles all your apps, movies, games and more with ease. To bring you even more entertainment throughout the day, the Xperia XZ2 Premium battery is built to last. Smart Stamina works ahead of time to keep you powered up for longer, while Qnovo Adaptive Charging and Battery Care give your battery a longer lifespan.